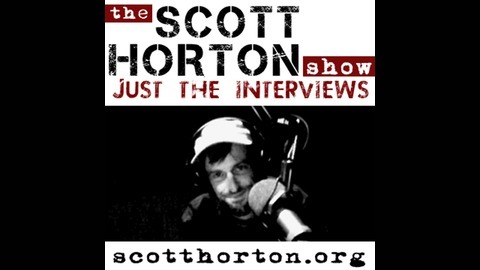 This podcast is for individual interviews on the Scott Horton Show. See the Q & A show feed to hear Scott answer listener questions and for the full show archives. Max Blumenthal comes on the show to talk about his new book, The Management of Savagery: How America’s National Security State Fueled the Rise of Al Qaeda, ISIS, and Donald Trump. He explains not only the familar narrative of U.S. support for rebel groups in the Middle East creating bloody civil wars and general unrest, but also how mainstream, centrist marginalization of unorthodox views has fueled polarization and allowed for the rise of an extreme and dangerous political right. Discussed on the show: The Management of Savagery: How America’s National Security State Fueled the Rise of Al Qaeda, ISIS, and Donald Trump Fascism: A Warning The Clash of Civilizations and the Remaking of World Order “Madeleine Albright says 500,000 dead Iraqi Children was “worth it” wins Medal of Freedom” (YouTube) Devil’s Game “Tomgram: Max Blumenthal, The Great Fear” (TomDispatch) “The Redirection” (The New Yorker) Director and writer of “Killing Gaza,” Max Blumenthal is a senior editor of the Grayzone Project and the author Goliath, Republican Gomorrah, and The 51 Day War. Follow Max on Twitter @MaxBlumenthal. 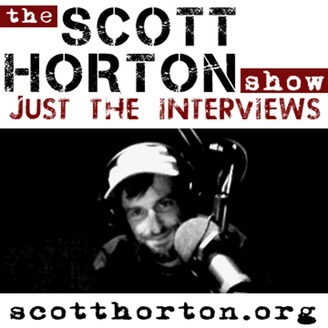 This episode of the Scott Horton Show is sponsored by: Kesslyn Runs, by Charles Featherstone; NoDev NoOps NoIT, by Hussein Badakhchani; The War State, by Mike Swanson; WallStreetWindow.com; Roberts and Roberts Brokerage Inc.; Tom Woods’ Liberty Classroom; ExpandDesigns.com/Scott; and LibertyStickers.com. Donate to the show through Patreon, PayPal, or Bitcoin: 1Ct2FmcGrAGX56RnDtN9HncYghXfvF2GAh.